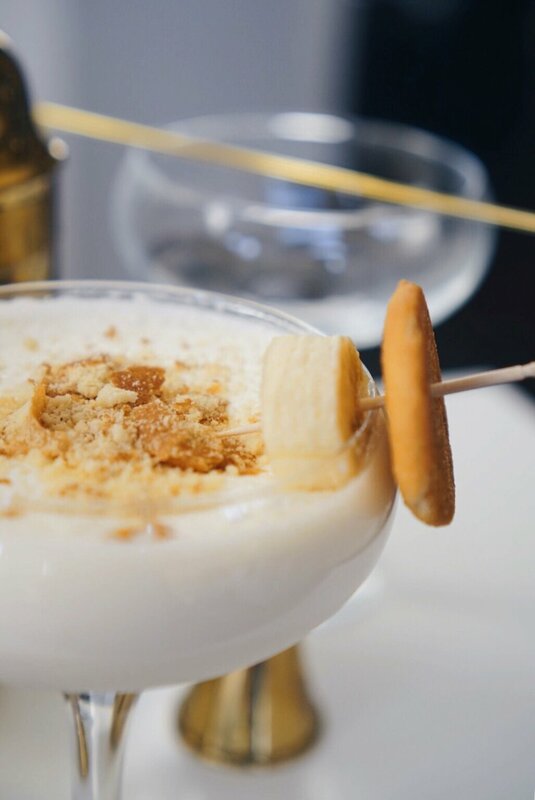 Jackson Morgan Banana Pudding Cocktail — THE FAUX FANCY. Happy Spring! I'm over the moon for this weather we've had in Texas the past couple of days. Blue skies and high 70º temps have their way of putting me in the best of moods. Speaking of good moods, I never knew how much a banana pudding cocktail on a warm Spring day could also contribute to said mood. But let me tell ya. I've had my eye on the Jackson Morgan brand for quite some time now. 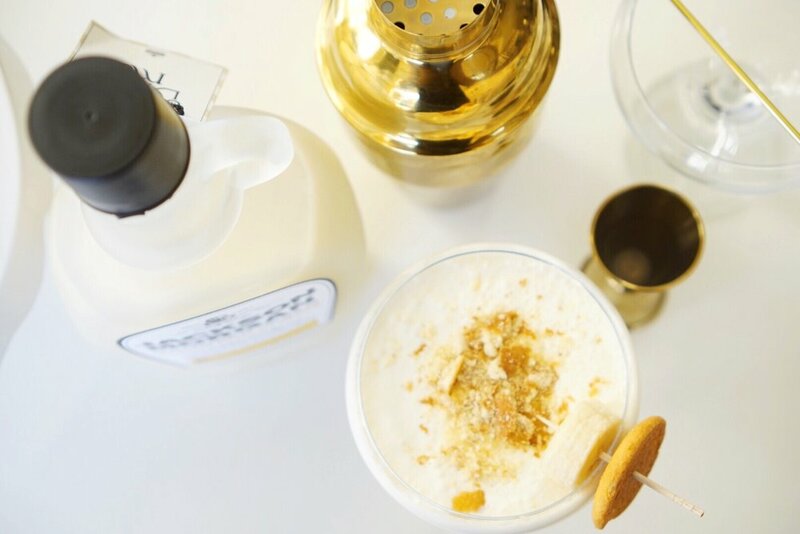 I love all things creamy, so when you take a creamy treat and mix it with whiskey? I'm sold. I've been dying to get my hands on the Salted Caramel flavor because salted caramel is hands down my favorite flavor combination of all time. But banana pudding isn't too far behind. 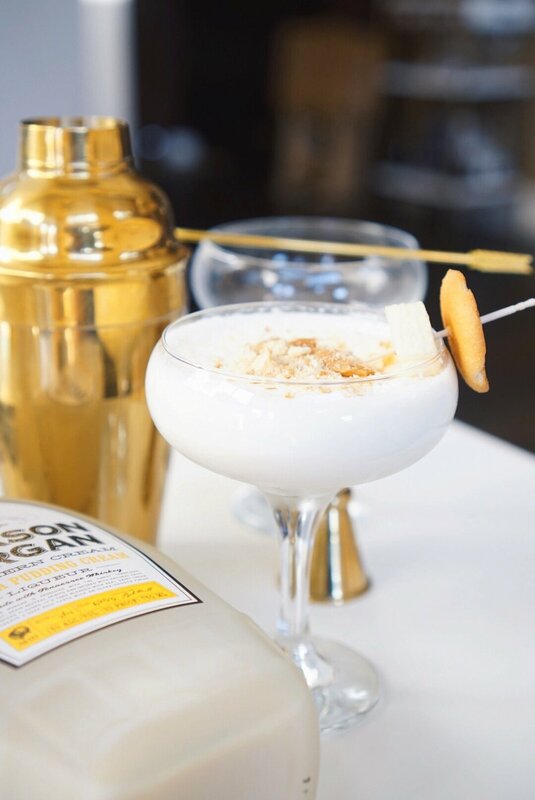 Jackson Morgan Southern Cream can be served chilled straight up or mixed into a cocktail. I wanted to give this a real banana pudding feel so I served it shaken with a float of homemade whipped cream and garnished it with crumbled Nilla Wafers. When I tell you it was GOODT, I tell you no lies. Yes, good with a t for flavor. I knew I wanted a whipped cream float to sit atop of the shaken liqueur, so I didn't want to get the canned crap and spray it on. I've mastered the art of perfectly whipped cream from all of the Irish coffees I made over the holidays, so I took this route. 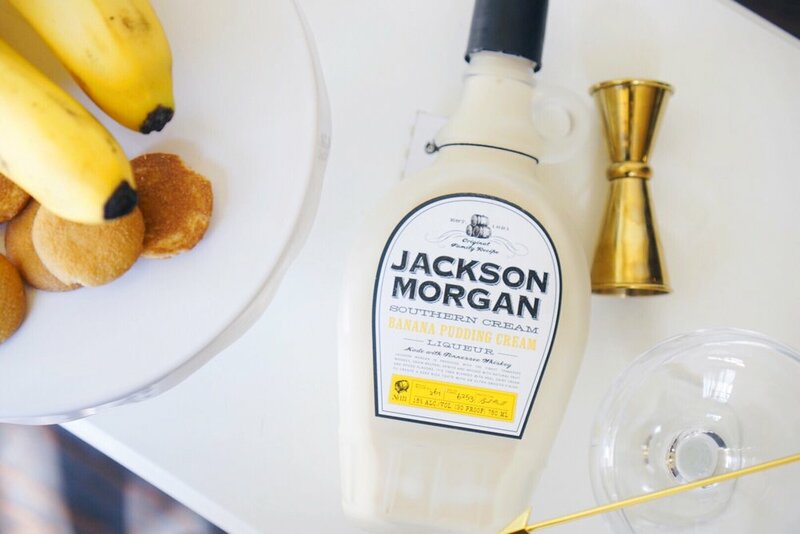 Jackson Morgan is an American brand born out of the need for a craft whiskey cream. They have flavors such as peaches and cream, salted caramel, and orange whip to name a few, and they are all on my must try list. Check out their store locator to find a bottle near you. Check out the recipe below and try this boozy dessert in a cocktail glass. Shake banana pudding cream in cocktail shaker over ice. Using a stick blender (very important for whipped cream), whip the cream on low until you get a loose, but thicker consistency.